Did you know that Google has run a project that brings objects from museums around the wolrd and art galleries right into your front room? It’s called the Google Art Project. 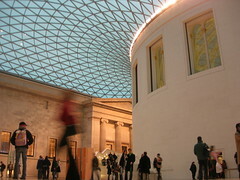 No need to travel the world when you can walk round museums and galleries virtually. Saves money on travel. Plus it means you avoid the art crowds! Take a look at this virtual museum view that guides you down an empty gallery in the Acropolis Museum to the East Frieze (Block VI). 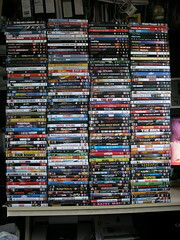 This week we’ve added some new DVDs to our collection. Being a residential college these go down a treat with students staying over the weekend and during the week. We also have The Help available for loan as a paperback. And we’ve bought in the Experiment by request from our Psychology tutor as it is based on the Milgram experiments. Amazing Grace charts William Wilberforce’s abolition of the slave trade which our Access to Higher Education students study too.